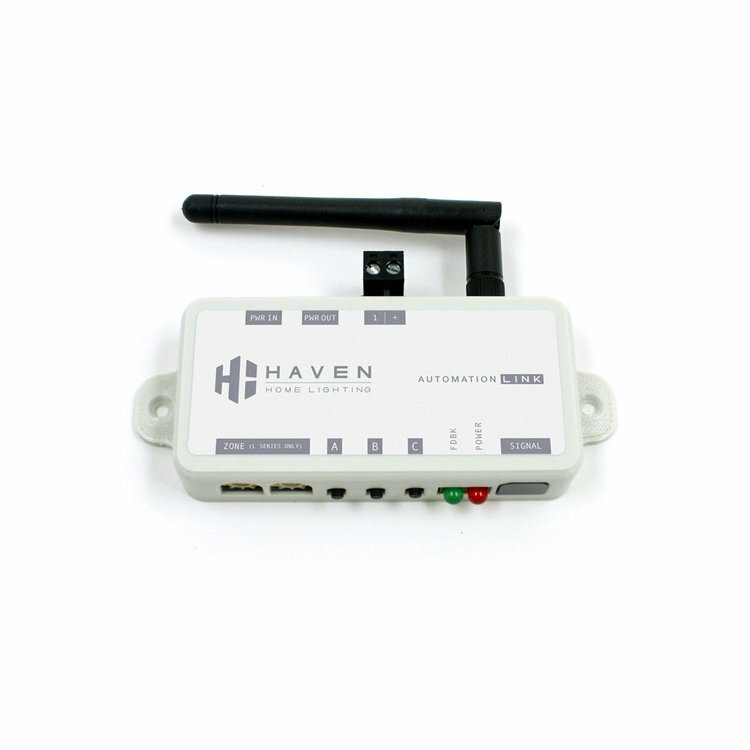 Haven Home Lighting Automation Link works seamlessly with capable automation systems like Control 4 and others to send commands to any of our Q Series and K Series LED Controllers. The device receives an IR input from the automation controller and converts it into a wireless signal that is sent directly to every paired controller letting you decide which controllers respond to each automation link. This wireless technology saves time and money by not having to run wires from your automation system to your lighting. 120V AC to 5V DC Power Supply Included - Capable of powering 10 Automation Link products using the Power Pass-through Cable included. 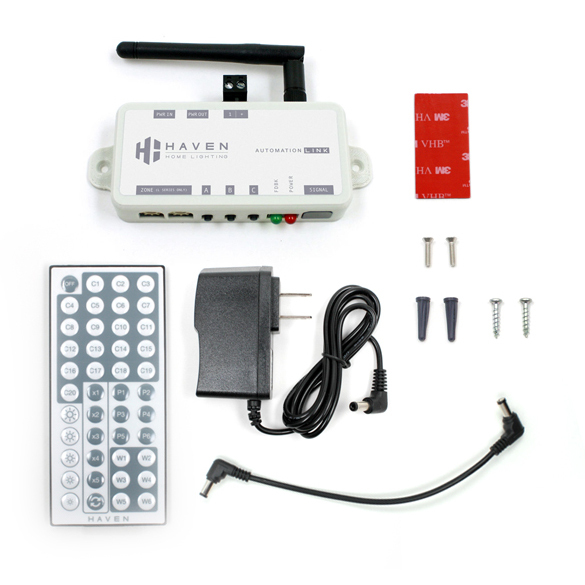 ** Multi-pack units come with multiple pass-through cables and 1 Power supply and 1 Remote only.